Spring showers bring summer flowers. 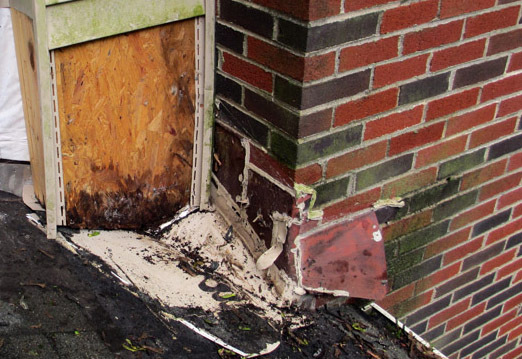 Unfortunately, heavy rains can also lead to leaky chimneys. 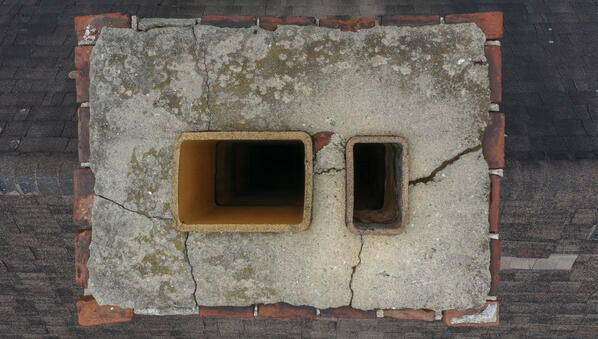 How do you know if your chimney is leaking? 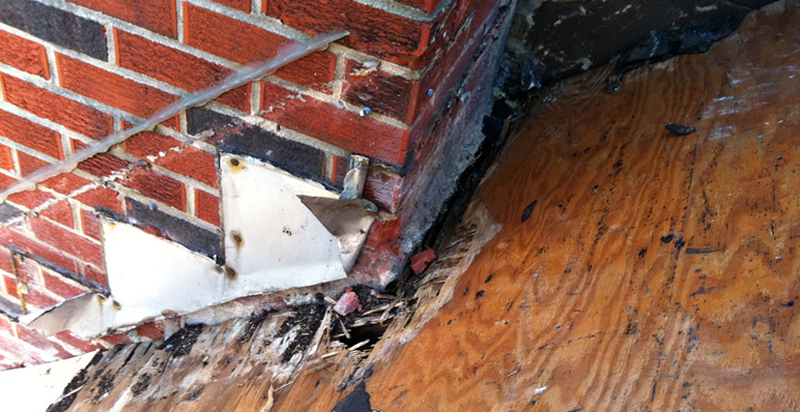 Here’s what to look for, reasons why chimneys leak, how to fix the leaks, and how to prevent leaks in the first place. 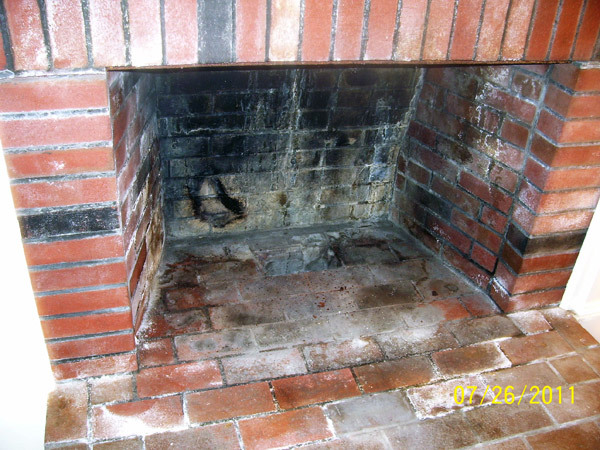 Many homeowners falsely assume that all leaky chimneys present themselves as visible water in the fireplace or flue. There are other clues, and unfortunately, chimney leaks are often not recognized until they’ve already caused significant damage. 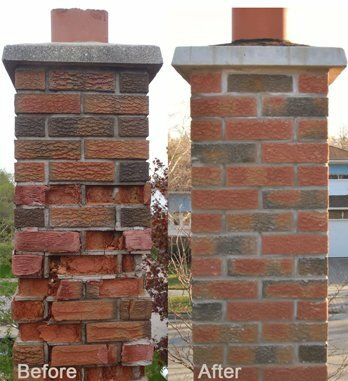 Although chimneys look like a simple brick column, they are actually complex structures with a number of different pieces and parts that can fail. Water is its biggest enemy of all of them with the combination of water and a freeze/thaw cycle being a double whammy. This is the single largest contributor to moisture in chimneys, either at the cap, or through the bricks. • Deteriorating Masonry: Masonry deteriorates over time. 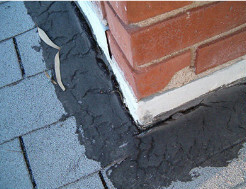 Water incursion can cause bricks to crack and spall (flake). 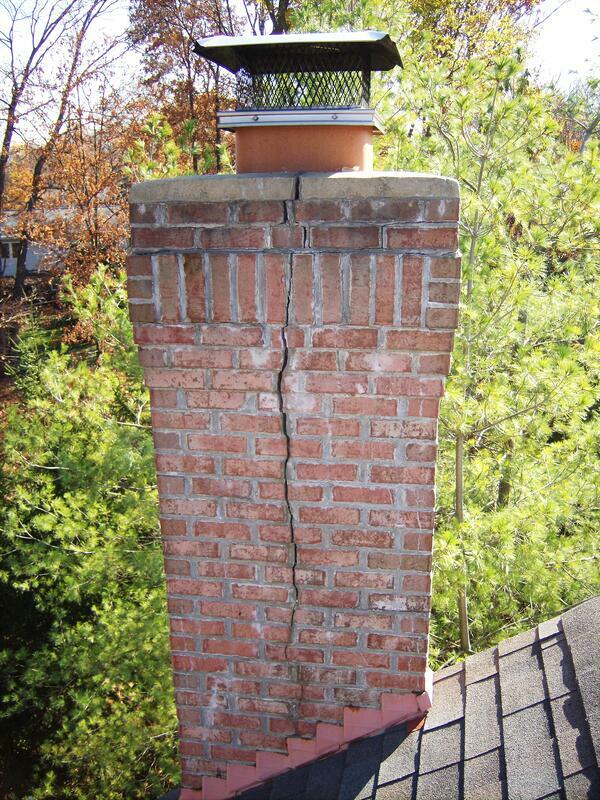 Leaky bricks can cause chimney leaks. 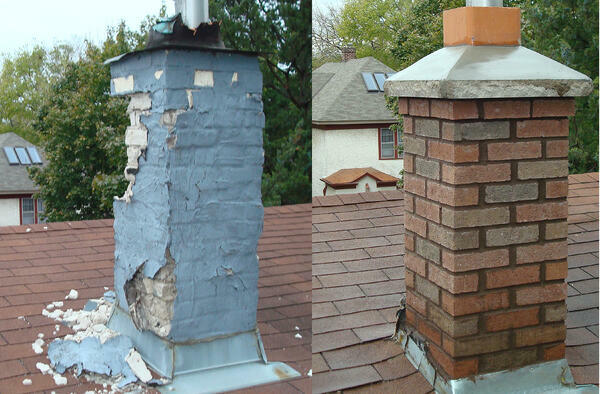 In addition to making your chimney look aged or unkempt, deteriorating masonry can also affect the chimney’s structural stability and lead to chimney leaks. • Chimney Crown Some chimneys have a chimney crown. That is the cement part on top of the chimney whose sole purpose is to keep rain and debris out. When there are cracks, water can go right through them. Cracks in the chimney crown can occur from shifting of the structure or from shrinkage dating back to the first day the crown was created. Without a properly fitted chimney cap to protect the top of your flue from water entry, the flue and fireplace are left completely exposed to rain. If your liner is metal, this is often a source of water problems. 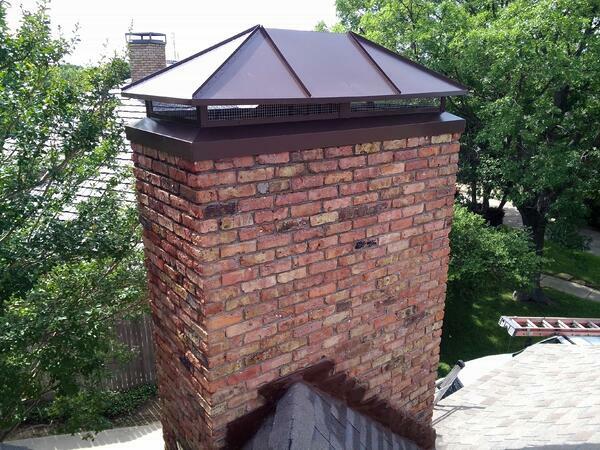 The chimney cover also keeps out animals and debris. This is important because a blocked chimney can cause Carbon Monoxide poisoning, resulting in illness and even death. 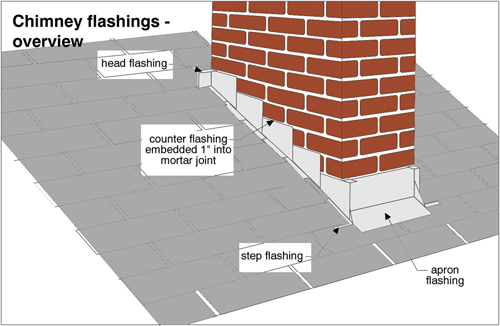 Flashing refers to the water tight metal strips that seal the seam between your roof and the bricks. There’s a fairly large gap between the bricks and the roof and water will pour through that hole if it’s not sealed up. 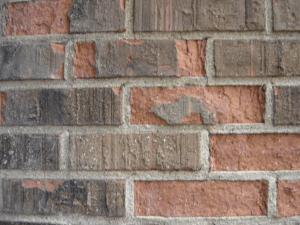 Bricks and mortar are porous, and both pass water, often lots of it. 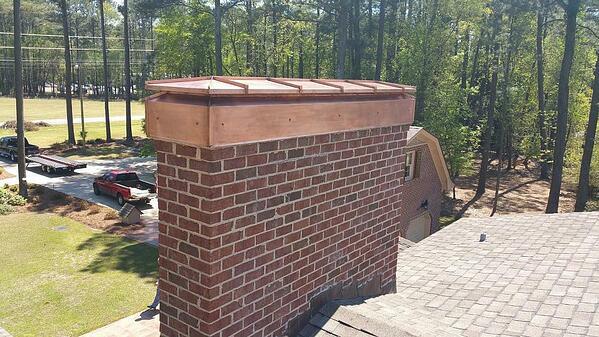 A sealer must be applied periodically to limit the amount of water that can make its way into the chimney. 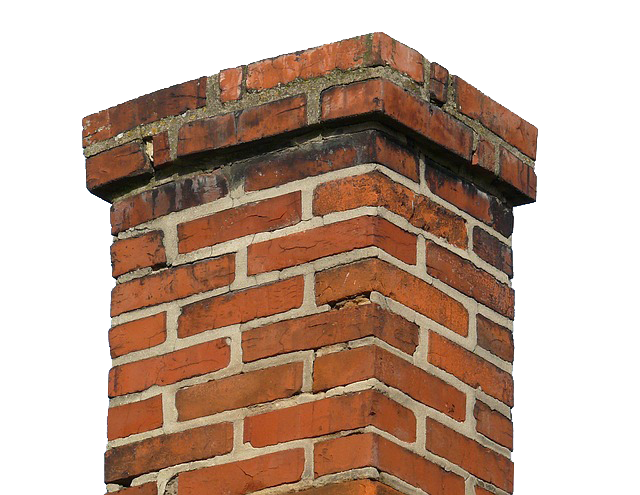 Chimneys need to be repointed periodically. 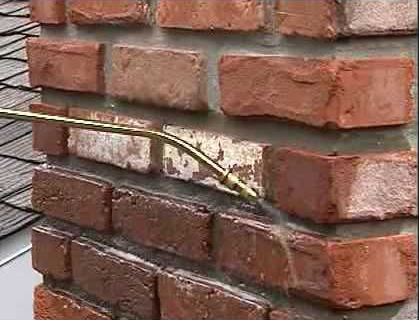 Repointing is the process of renewing the pointing, the external part of mortar joints. Over time, weathering and decay cause voids in the joints between the bricks, allowing the undesirable entrance of water. There is no other solution than to repoint! In combination with repointing, waterproofing the masonry helps preventing leaks and water damage. 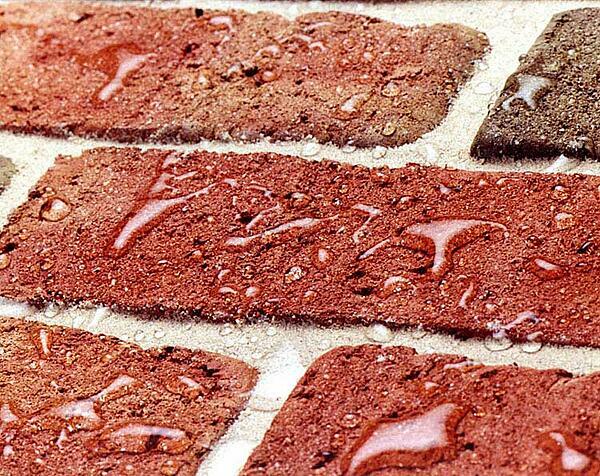 The waterproofing process involves the application of a specially designed sealant that keeps water out while allowing the masonry to retain its semi- porous nature. These products can even be applied to chimneys with existing water damage as a way to keep it from getting worse. Just be sure to use the right sealer; using silicone based water sealants may trap water and cause more damage than you started with. The right one to use: polysiloxane type waterproofing agents. In our area of New England, this flashing is typically copper, with details as shown below. The counter flashing is embedded 1" into the mortar joing, with head flashing at the leading edge of the chimney and apron flashing at the foot. 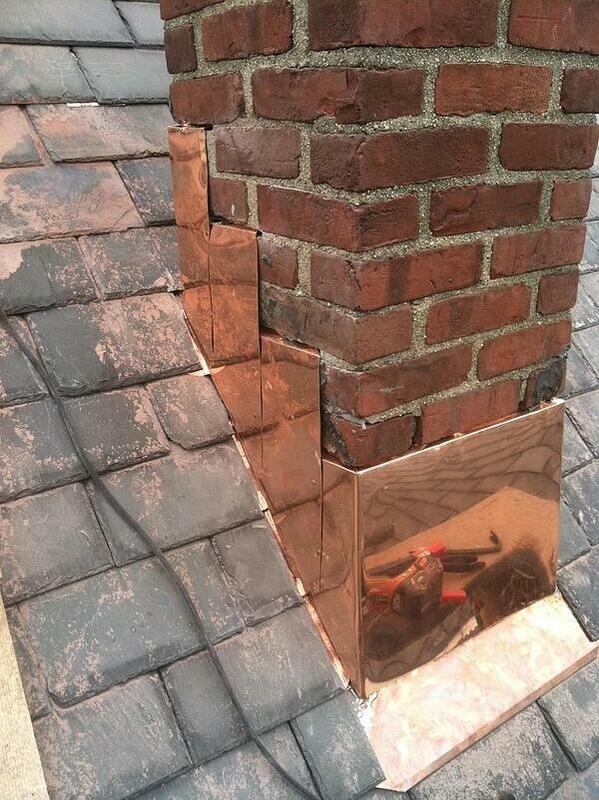 Copper, metal and flagstone are all good choices. There are off the shelf and custom versions in copper. 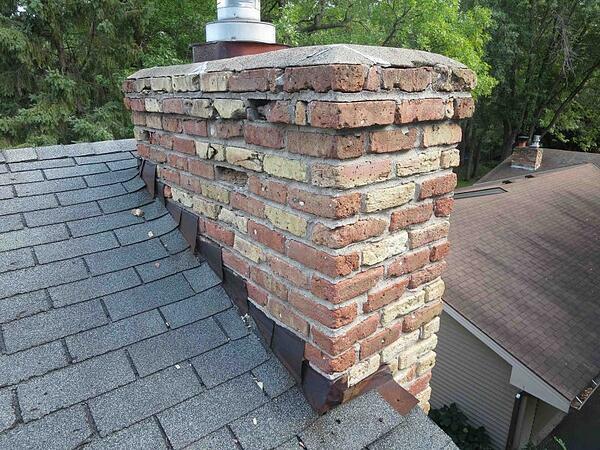 Preventing Chimney Leaks: Regular Maintenance is a must. 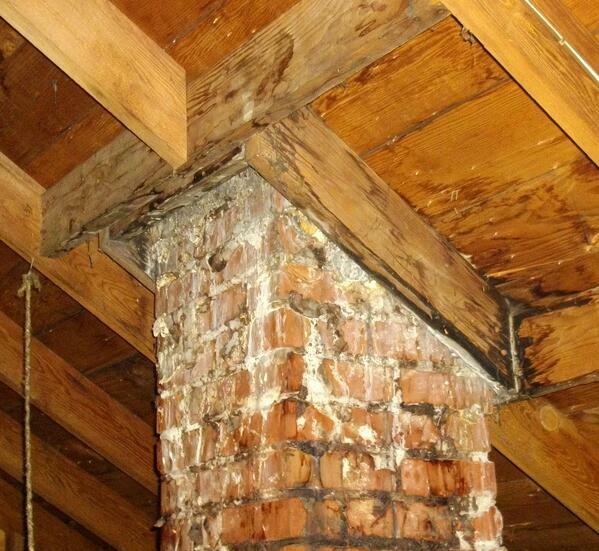 The best way to prevent chimney leaks is by having regular preventative maintenance done on your fireplace and chimney. 1. Have your chimney looked at it annually. 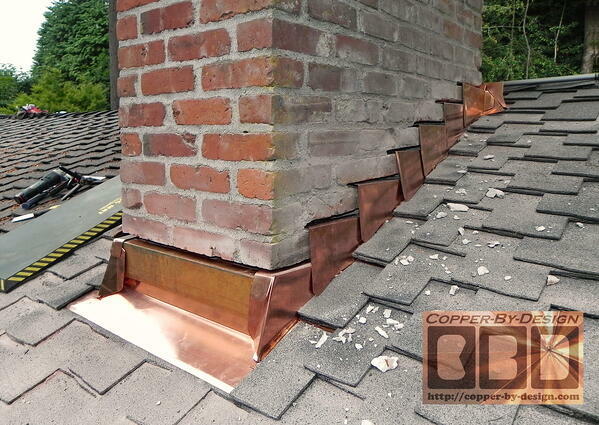 This will allow any new chimney or masonry damage to be spotted early on, so that you can have it repaired before it leads to a more serious chimney leak. 2. Plan to repoint and reseal periodically. Include $ in your maintenance budget so that you can repoint and reseal periodically to avoid more costly repairs and consequential damage.